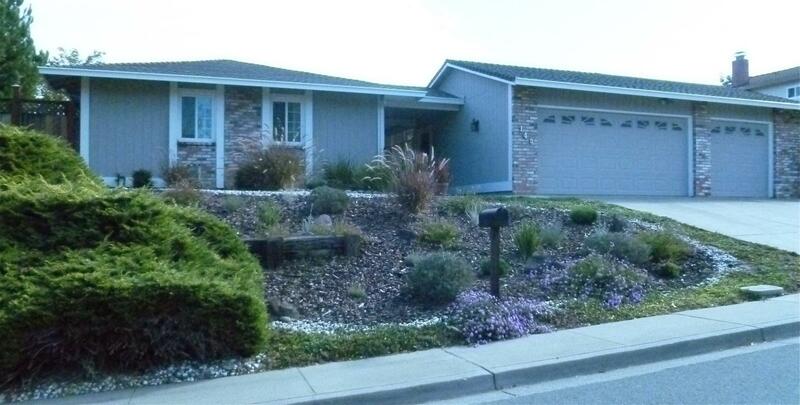 Our clients, avid gardeners, were frustrated with an unruly slope covered with weeds and juniper. 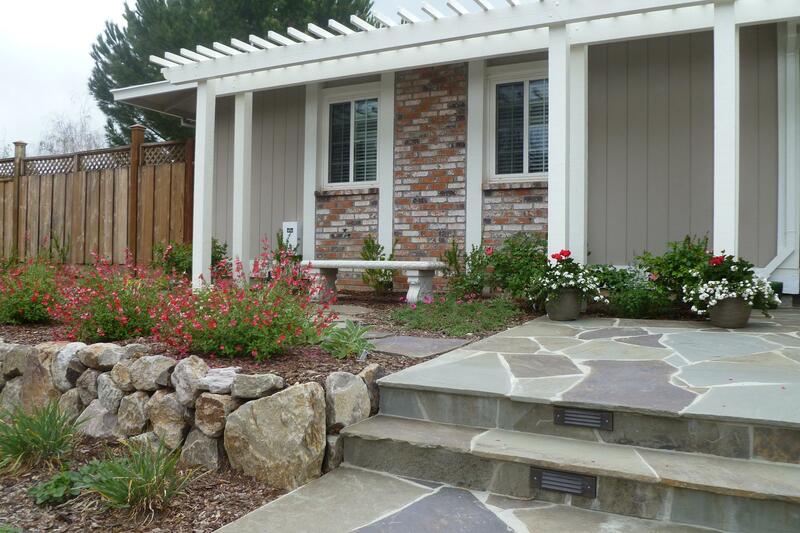 Their goal was to create an entry way and garden that would welcome them, and their friends and family, home. 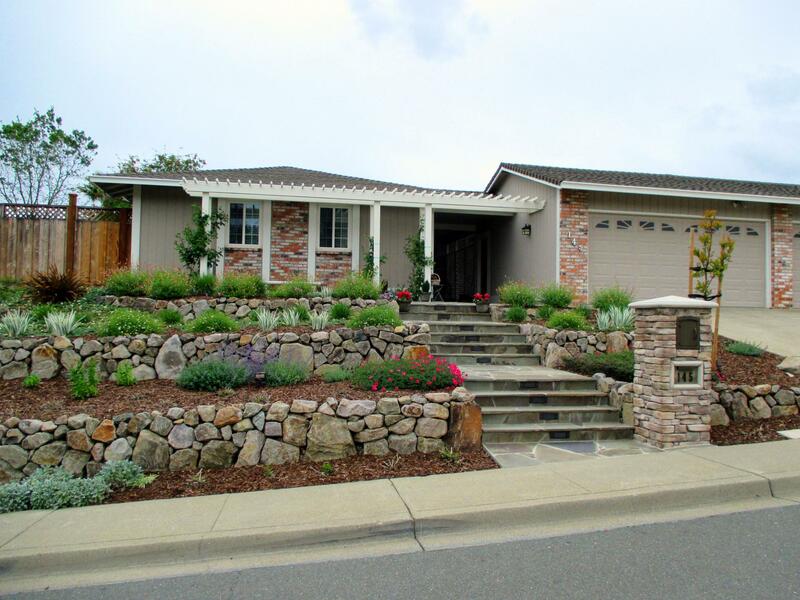 We used Napa basalt stone walls, paired with bluestone entry steps to create an inviting foil for pollinator-attracting, flowering, drought tolerant plants. 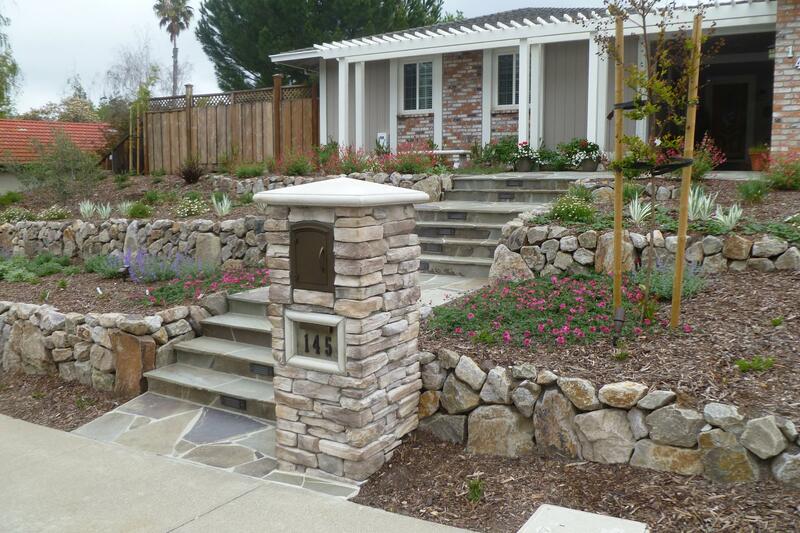 A coordinating stone entry bollard adds visual interest, and houses a locking mailbox with illuminated address numbers. A broad entry trellis becomes a welcome arch for the home, and provides shade for the interiors from the hot Western sun.